The single most important preventative treatment for migraine headaches is to simply avoid all migraine triggers that affect your nervous system. Easier said than done, you may say, as there are hundreds of things in food, weather, and daily life that increase your chances of having a migraine attack. Can you spot the migraine triggers here? Migraines are a neurological disorder that is often inherited from your family. Most migraine sufferers are women, but not exclusively. Common symptoms include, but are not limited to, excruciating pounding headaches, stomach pain, nausea, eye pain, vertigo, and overwhelming fatigue. Chronic headaches happen more than 15 times each month. It’s worth noting that not all migraine attacks include headache. You may experience all the other symptoms of migraine, such as dizziness, stomach cramps, and extreme sensitivity to bright lights and strong scents without ever suffering from head pain. Even “silent migraines” can be very debilitating, especially as they are often connected with migraines with aura, a condition that scientists have linked with increased risk for stroke, heart disease, and epileptic seizures. Migraine triggers don’t necessarily cause migraines, as much as they increase your likeliness of having one. Just as stress lowers your immune system, making it harder for your body to fight off infections and bacteria, so do migraine triggers make it harder for your nervous system to control overstimulated, trigger-happy nerve cells of the brain. Some of the most well-known migraine producers exist in food. 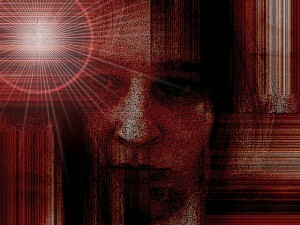 Chocolate, coffee, hot dogs, aged cheeses, and MSG are all considered “red light” foods on a migraine diet. Still, every person is wired differently, so what triggers a five-alarm migraine attack in one person may actually provide significant relief to another. Caffeine, for example, is both a migraine trigger and a painkiller, depending on your migraine brain. To find out exactly which foods are triggering your migraine headaches, it’s important to keep a migraine diary, and fill in all foods, feelings, medications, daily weather, sleep cycles, and other relevant facts. How many of these unusual migraine triggers can you identify? Leftover food from restaurants, likely to contain tyramine, a common migraine trigger. 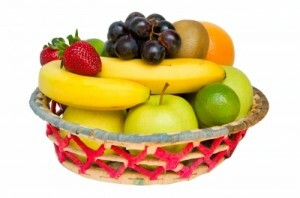 Bananas- along with avocados, fruits that are eaten when very ripe also contain tyramine. Citrus fruits, although healthy for preventing the common cold, are rich in citric acids that interfere with your pH blood level, and also contain histamine, a migraine trigger for some. Artificial flavorings, colorings, and preservatives contain chemicals that increase your chances for frequent migraine headaches. Packaged goods containing hidden monosodium glutamate (MSG) can include mixed nuts, soup mixes, sauces, and even mayonnaise. To avoid migraines, always read food labels, even on food products that you wouldn’t expect to find migraine-triggering MSG. Scientists have compiled a list of hundreds of migraine triggers, not all of which are from food. In addition to the ones listed, can you list any other other headache triggers that you currently avoid? Fact: most people with vitamin B12 deficiency suffer from depression symptoms, as well. Unfortunately, many don’t connect the dots between the two conditions. As a result, they may never find the relief that comes with vitamin B12 supplementation, despite taking antidepressants for anxiety or chronic depression for many years. There are a few reasons why vitamin B12 deficiency can slip past the radar when it comes to emotional problems such as depression, anxiety, and paranoia. 1) Many doctors simply don’t test for low vitamin B12 when their patients come to them complaining of long-lasting depression. As a result, a startling number of B12 deficient people never get diagnosed with vitamin B12 deficiency anemia, and never get the treatment they need. 2) If you’ve been struggling with anxiety and depression all your life, then you may not notice signs of early vitamin B12 deficiency that mimic chronic depression. Overwhelming sadness, foreboding, panic attack, brain fog, fatigue, and memory loss are all depression symptoms that also occur with depleted vitamin B12 in your blood supply. 3) Vitamin B12 blood tests often produce inaccurate results. So, even if you suspect you have vitamin B12 deficiency and go in for testing, you may never get the diagnosis you need in order to receive authorized vitamin B12 supplementation from your healthcare provider. For that reason, many people who suffer from vitamin B12 deficiency or pernicious anemia (the autoimmune form of B12 deficiency) opt to order vitamin B12 online, in order to get enough vitamin B12 to reverse symptoms of depression, nerve damage, fatigue, and cognitive impairment. 4) Certain medications, including antidepressants, increase your chances of developing vitamin B12 deficiency, as they interfere with your ability to digest vitamin B12 properly from the foods you eat. If you are currently taking antianxiety drugs or antidepressants, then you should supplement with extra vitamin B12 at the same time, in order to prevent anemia. Unless it’s treated, vitamin B12 deficiency with depression can become a vicious cycle. Scientists have found that patients suffering from schizophrenia and bipolar disorder experience of worsening of symptoms when vitamin B12 levels are low. Listed are some depression symptoms and mental illnesses that may become aggravated with vitamin B12 deficiency. 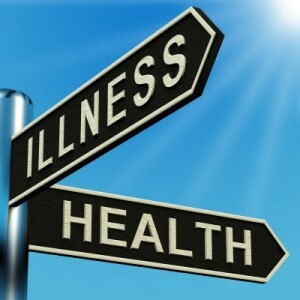 If you suffer from depression symptoms, then please see a doctor and discuss medication options. Also, consider adding regular high-dose vitamin B12 to your daily routine. Don’t ignore possible symptoms of vitamin B12 deficiency- often, the only way to effectively catch vitamin B12 anemia before it becomes debilitating is by recognizing some of the earliest signs, such as constant daily fatigue, memory problems, depression, and painful numbness and tingling in the extremities. Vitamin B12 blood tests may be helpful for diagnosing severe pernicious anemia (which used to be a fatal disease), but their track record for preventing symptoms of vitamin B12 deficiency in the moderate range is not reassuring. That’s because the range for detecting depleted vitamin B12 is set too low, producing inaccurate test readings when more vitamin B12 is needed to provide relief and prevent nerve damage. If you experience any of the following symptoms, then it’s advisable to start a regimen of vitamin B12 supplements, and track results. This is a complete list of all possible symptoms of vitamin B12 deficiency. You may have only a few or more of these symptoms. Vitamin B12 deficiency affects people differently, according to the level of depletion. High levels of homocysteine, which are linked with heart attack, stroke, and Alzheimer’s disease. Sore muscles, painful burning sensations. “Electric shock” sensations that shoot down your arms and legs whenever you bend over. Difficulty building muscle mass, even though you’ve been exercising regularly. Neural tube defect in newborn babies. Aching prickling and numbness in hands and feet caused by paresthesias. Peripheral neuropathy (nerve damage) caused by the degradation of myelin, a protective coating that shields your nerve cells. Muscle fatigue following light physical exertion. The need to take a few days to recuperate after even moderate exercise. Tight muscle pain in the arms and legs. Tender spots on your body which are often associated with fibromyalgia. Pain in elbows, shoulders, and hips from bursitis. Poor control or arm and leg movements. Frequent “clumsiness,” things always falling from your hands. Dizziness, unsteadiness, poor stability on feet. Difficulty walking in a straight line. Occasional vertigo, a sensation that the room is spinning. Difficulty remembering words that are on the tip of your tongue. Forgetting names of familiar people. Depressionthat lasts for months without any apparent cause. Chronic overwhelming daily fatigue, despite sleeping well. Difficulty finishing tasks or chores, finding it hard to stay organized. Aggressive behavior that is new, unusual. Early-onset dementialinked with old age. Baseless anxiety, sense of doom. Strong tooth pain when drinking or eating very hot or cold foods. Sore tongue, “burning mouth” sensation. Red tongue that is abnormally slick, without bumps. Continuous canker sores, mouth ulcers. Cracked sores at both corners of your mouth. Dry mouth, unpleasant taste in mouth. Altered palate, food tastes different. Strange thirst, constantly feeling dehydrated. Unusual metallic taste in mouth. Olfactory hallucinations, noticing odd scents that aren’t apparent to anybody else. Pain in bladder in the absence of uterine infection. Nausea, recurring need to vomit. 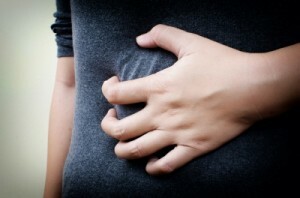 Acid reflux that occurs regardless of diet. Constant heartburn, despite eating healthy. Constipation, difficulty having regular bowel movements. Poor development in newborn babies. PMS- pain and emotional problems prior to menstruating. Yeast infections that occur often. Face is abnormally pale in complexion. Heart palpitations throughout the day. Thyroid disorders, including hypothyroid or hyperthyroid. Sensory impairments, such as hypersensitivity to touch, fragrances, textures, flavors, lighting and noise. Sleep problems, such as insomnia or waking up easily. Sleep that doesn’t refresh your mind, you still feel exhausted in the morning. 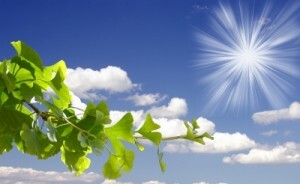 Vision impairments, such as blurring, double vision, sensitivity to light. Optic neuritis- nerve damage in the eyes. Constant ringing in the ears from tinnitus. Hyperacusis- extreme hypersensitivity to certain sounds, such as Styrofoam or scratching. Constantly feeling cold due to low body temperature. Hair loss not related to age. 100. Thin, ridged nails that break easily. 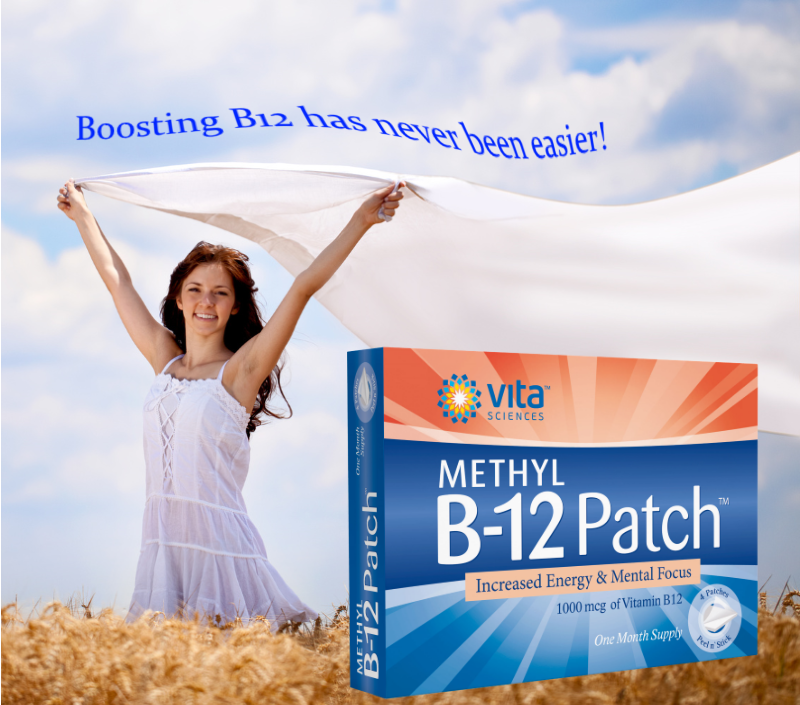 Order the B12 Patch- now with methyl-cobalamin! Buy Now. The signs of low B12 start with tiredness and depression. Memory loss, as well. To get better, you have to start taking vitamin B12 right away. In time, low vitamin B12 in your blood can lead to nerve damage, pain, and life-threatening illness. Listed are some of the early signs of vitamin B12 deficiency. How low is your B12? Depending on how much vitamin B12 is in your blood supply, signs of low B12 can vary from medium to severe symptoms. 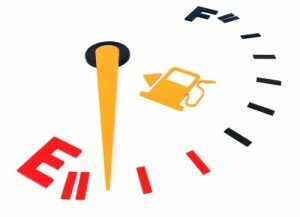 Fatigue- feeling of always being tired, even after sleeping well the night before. Depression- lasting sadness that doesn’t seem to go away. 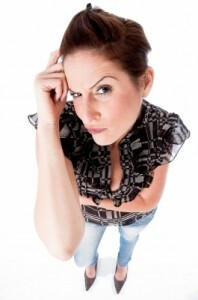 Memory problems- forgetting things you used to remember easily, like names and everyday words. Anxiety- you feel nervous, moody, easily angered, and have panic attacks. Numbness- your arms and legs “go to sleep” all the time, you feel pain and tingling in your hands and feet. Brain fog- your thinking is slow, you start speaking in a dull voice, you get confused and have a hard time staying focused. Sleep problems- it’s harder for you to get to sleep and stay asleep the whole night, and you don’t wake up feeling refreshed. Weakness- you feel like you’re not as strong as you used to be, your ankle twists easily, you drop things more often than usual. Balance problems- you fall down often, feel dizzy and out of sorts. Altered taste- food tastes weird, and your tongue feels like it’s on fire sometimes. Heart tremors- you’re out of breath and your heart beats quickly. People get vitamin B12 from eating beef, chicken, fish, eggs, and milk. In order to have enough vitamin B12 in your body, you have to keep eating meat all the time. This is a problem for people who are not able to digest vitamin B12 from food. For them, it’s vital to take special forms of vitamin B12 that are not swallowed. Instead, B12 vitamins that enter through the skin into the blood supply are needed. To find out if you need more vitamin B12, your doctor may ask you to take a simple blood test. This is helpful for ruling out severe pernicious anemia, a deadly disease. But to check for medium-low vitamin B12, these tests are really useless. That’s why it’s so important to know the symptoms of early vitamin B12 deficiency. If you feel tired, confused, or sad each day, then it’s a good idea to try upping your vitamin B12. See how you feel in the next few weeks. Since vitamin B12 is safe to take in any amount, there is no risk of danger. Chances are very good that you will start to feel better, with more energy and a healthy mood. Preventing anemia during pregnancy means more than just checking your iron levels. Vitamin B12 deficiency anemia can cause many problems that can harm your baby, yet it’s often brushed under the rug. In fact, vitamin B12 blood testing doesn’t always detect the earliest signs of vitamin B12 anemia during pregnancy, or afterwards. Family planning with vitamin B12 in mind. Vitamin B12 is so important for so many stages of life- it helps your make plenty of healthy red blood cells needed for oxygen. Vitamin B12 also protects your nervous system. This important plant-based vitamin is excellent for metabolism, energy, memory, and good mood. For family planning, vitamin B12 is crucial for fertility, development, and your child’s ability to thrive. According to studies, women with vitamin B12 deficiency or pernicious anemia are more likely than others to experience infertility, multiple miscarriages, and spontaneous abortions. Among the many symptoms of vitamin B12 deficiency include problems that can interfere with family planning. Difficulty conceiving, low libido, impotence, and miscarriage are all impairments that occur with pernicious anemia or medium-range vitamin B12 deficiency. If you have too much homocysteine, then you are at risk for preeclampsia and miscarriage. Vitamin B12 helps to control homocysteine, so it’s important to keep taking your vitamin B12 supplements. To prevent blood clotting, you should also keep folate levels in check, as well. In a study by the National Institutes of Health, doctors saw that neural tube birth defects happen more often when the mother has vitamin B12 deficiency or pernicious anemia. Even before getting pregnant, you should start taking extra vitamin B12. Spina bifida, a development disorder that means “split spine,” is five times more likely to occur with pernicious anemia, even if couples are anemic before conceiving. Vitamin B12 deficiency is treatable- and the symptoms can be prevented if caught on time. That means good health, both for you and your unborn child, when vitamin B12 anemia is detected before or during pregnancy. Researchers noted that when vitamin B12 supplements are introduced in high doses, homocysteine levels decrease, resulting in a much better outcome for normal childbirth. While there’s no upper limit for vitamin B12 (all amounts are perfectly safe), the standard dose is 1,000mic taken daily, weekly, bi-weekly, or as recommended by your physician. If you had vitamin B12 deficiency anemia during pregnancy, did you take extra vitamin B12, in addition to your prenatal vitamins? Peripheral neuropathy is caused by damage to the nerves outside of the central nervous system. Autoimmune disorder is one of many conditions linked to peripheral neuropathy, resulting in chronic neuropathic pain, reduced mobility, and organ failure. The peripheral nervous system connects the central nervous system (spinal cord and brain) to the rest of your body. Everything you touch, taste, smell, and see is filtered through your peripheral nerves. Even your controlled breathing, heart rate, and digestive functions are dependent on having a healthy peripheral nervous system. With impaired peripheral nerve cells, you may suffer any of a number of debilitating painful ailments. Diabetes, pernicious anemia from vitamin B12 deficiency, and alcoholism are a few examples of conditions that cause severe peripheral neuropathy. If treated in time, nerve damage can be minimized or prevented altogether. Nerve damage is often preventable and treatable, only if caught on time. Listed are some illnesses, lifestyle factors, and medical treatments that are risk factors for peripheral neuropathy. 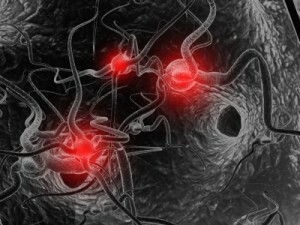 If you have a history for immune system dysfunction, then your chances of developing neuropathy are higher than others. Intrinsic factor antibody disorder is one such example that occurs when your immune system continuously attacks intrinsic factor, a necessary enzyme for digesting vitamin B12. Vitamin B12 is absolutely crucial for protecting the nervous system, as it helps to promote production of myelin, an insulating substance that protects each individual nerve cell. Multiple sclerosis (MS) is an illness that breaks down myelin and causes peripheral neuropathy- many doctors believe there is a link between long-term vitamin B12 anemia and MS.
As vitamin B12 levels plummet, your risk for developing neuropathic pain and damage increases incrementally. Tip: If you have a family history for autoimmune disorder, then get tested for serum vitamin B12 regularly, and learn how to recognize the symptoms and causes of peripheral neuropathy. Alcoholism, smoking cigarettes, and sedentariness can also lead to peripheral neuropathy just by increasing your odds for cancer, organ dysfunction, and diabetes. If you follow a vegan diet, then it’s essential to supplement with daily vitamin B12, in order to prevent peripheral neuropathy caused by vitamin B12 deficiency. Certain medications indirectly cause peripheral neuropathy by making you a high risk factor for vitamin B12 anemia. If you have been taking any prescription medication for several months, then ask your doctor to list all possible side effects that can occur over a long period of time. If you have elected for gastrointestinal surgery, either for treatment of Crohn’s or for weight loss (gastric bypass), then it’s vitally important to take highly-digestible forms of vitamin B12 in order to prevent peripheral neuropathy. Cancer treatments such as chemotherapy and radiation treatments often result in peripheral nerve damage. Sometimes, during surgery, a doctor may accidentally strike a nerve, causing nerve damage that can be difficult to treat later. What else causes peripheral neuropathy? Please feel free to post questions or comments below. Why do Tinnitus Supplements contain Ginkgo Biloba? Check the label on most tinnitus supplements, and you’ll find ginkgo Biloba (not gingko) as one of the main ingredients. And for good reason- ginkgo biloba is one of the most heavily researched natural herb recommended for promoting healthy circulation in people with tinnitus and age-related hearing loss. Ginkgo biloba is one of the most widely-franchised natural supplements for tinnitus and other health conditions throughout the United States and Europe. In addition to tinnitus, ginkgo biloba is also beneficial for people with memory loss, clogged arteries, and acute hemorrhoids. There’s no “miracle cure” for tinnitus, despite what hundreds of Google search results may indicate. However, if you suffer from tinnitus (constant ringing in the ears) or other auditory problems, it is possible to achieve a level of hearing health by nourishing the body with vitamins, herbs, and minerals that target the nerve center responsible for hearing, and by sustaining normal blood flow near the head- a frequent factor in chronic tinnitus. By eliminating tinnitus triggers, you improve your chances of living the rest of your life without a constant barrage of ear ringing, whistling, pounding, and buzzing sounds. Many natural ingredients such as ginkgo biloba can help you achieve that goal by promoting healthy, normal functioning in areas where deficiencies exist. Tinnitus is often a neurological response to damaged nerve cells of the inner ear. This can happen for a number of reasons. Where ginkgo biloba is suggested for tinnitus, it is because of reduced blood flow to the ears, resulting in poor oxygen in the brain. To keep your nervous system working properly- in this case, the part responsible for hearing- it is important to sustain healthy blood pressure. Ginkgo biloba contains potent antioxidants that support good circulation by sustaining ideal blood vessel dilation and optimal blood texture. Where blood clotting or hypertension may damage the nerve cells of your inner ear’s cochlea, ginkgo biloba can have a therapeutic, normalizing effect. Several studies have led researchers to believe that ginkgo biloba can significantly increase blood flow to the brain, proving helpful for people suffering from constant tinnitus and poor circulation, such as hypertension. Besides ginkgo biloba, do you know of any other natural ingredients used in tinnitus supplements? Please comment below! 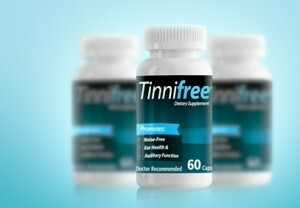 Try Tinnifree for noise-free hearing support. Prevent Memory Loss- Check these 7 Medications! Memory loss doesn’t have to be a necessary part of getting older. Often, forgetfulness is triggered by certain medications that cause brain fog, fatigue, and mental confusion. To prevent memory loss, ask your doctor for healthier alternatives for the following drugs. If you’ve been noticing an increase in memory loss, then your first step is to schedule a check-up. Your doctor may want to screen for vitamin B12 deficiency, a common cause of frequent memory problems, tiredness, and depression. Other possible reasons for poor memory can include smoking, head trauma, stroke, sleep apnea, early-onset dementia, or just plain ‘ole stress. Or, memory loss can occur with commonly prescribed medications used to treat depression, anxiety, chronic pain, or even high cholesterol. Benzodiazepines for anxiety work by suppressing parts of the brain used to store memory. These should only be prescribed rarely, and not for long term. Ask your doctor for gentler treatments for anxiety, muscle spasms, or insomnia. Also, consider supplementing with safe natural ingredients that help to promote good cognition. Statins that lower cholesterol can also impair memory by reducing lipids that are needed for cellular communication in the brain’s network of nerve cells. To counteract the effect, doctors recommend taking high doses of vitamin B12, which encourages healthy nervous system functioning through the preservation of myelin. Certain anti-seizure drugs used to treat migraines, epilepsy or bipolar disorder can wreak havoc on the nervous system, leaving you feeling drained, disoriented, and forgetful. Certain anticonvulsants are better than others, so if you notice a change in your overall mood, then ask your doctor to recommend an alternative. Also, certain herbs, vitamins, and minerals have been found helpful when taken in tandem, such as butterbur, riboflavin, magnesium, and coenzyme Q10. Opioid analgesic painkillers prescribed for arthritis, migraines or fibromyalgia can interfere with both short-term and long-term memory. For chronic pain that requires frequent medication, inquire about non-narcotic painkillers. For joint pain and muscle soreness, rub daily with a pain relieving cream. Tricyclic antidepressants used to treat depression, anxiety, tinnitus, migraines, and chronic pain may cause severe memory loss in about 35% of patients, in addition to difficulty concentrating in more than half, according to recent studies. If you experience fatigue and memory problems, then your doctor may suggest lowering your dose or trying an alternative type of antidepressant, such as selective serotonin/norepinephrine reuptake inhibitors (SSRI/SNRIs). Antihistamines used for nausea, allergies and migraines can impair the part of your brain used for memory and learning. To prevent memory loss while using antihistamines, make sure you’re using one of the newer formulas. Hypertension drugs such as beta-blockers work by inhibiting chemical reactions in the brain, including those needed for good memory and healthy cognitive functioning. As a result, you may experience frequent brain fog and memory loss after using beta-blockers for a long period of time. If using hypertension medications to treat migraines or tinnitus, then ask about certain vitamins and minerals that support good blood flow to the brain. Can you think of any other medications people should avoid, in order to prevent memory loss? Please share your comments or questions below.